I closed last week’s column on shidduchim with the recommendation that singles examine the other side of the coin, so to speak, in order to determine whether they themselves, albeit unknowingly, contribute to the crisis. I can tell you from my personal experience working with singles that too many of them can’t acknowledge the fact that while they desire to get married, they insist on living in the past, clinging to visions that are no longer realistic, and refusing to move on. This concept of moving on regarding shidduchim has a Torah source. The first person in the Torah commissioned to take on the role of a shadchan was Eliezer, the loyal servant of our father Avraham. Eliezer is charged with the mission of finding a shidduch for Yitzchak. Avraham tells him specifically what the qualifications of the bride must be. Miraculously, Eliezer finds the perfect girl. 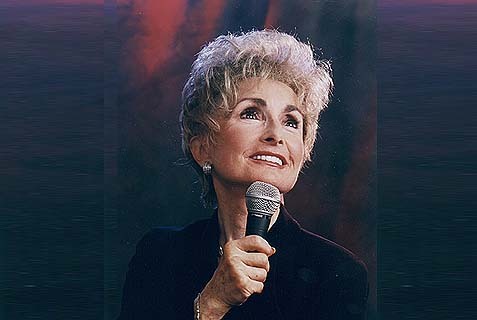 She not only meets Avraham’s expectations, she exceeds them. Despite all this, when Eliezer proposes the shidduch to Rivkah’s family, he tells them, “Give me a yes or a no so that I may know whether I should move on to the right or to the left” (Genesis: 24:49). This is a lesson the singles population should take to heart. Yes, we recognize you have a vision of a perfect shidduch, but if it doesn’t work, if it’s not happening, take your cue from Eliezer and move on. Don’t become stagnant. When my own children were in the shidduch parshah, searching for their soul mates, my saintly father, HaRav HaGaon Avraham HaLevi Jungreis, zt”l, advised me to be careful never to beseech Hashem for a specific shidduch, no matter how attractive the person seemed. Thus, the first requirement in finding “that right one” is heartfelt prayer, especially Minchah – the afternoon service – for it was after davening Minchah that our father Yitzchak met our mother Rivkah. Over the years, Baruch Hashem, I made shidduchim for people from every walk of life and always kept my father’s words in mind. In our society, however, when it comes to making a shidduch, people rely on two big words: “chemistry” and “electricity.” We choose to forget that, even in New York, the world’s most powerful city, a power failure can occur. As for chemistry, there may come a time when that formula loses its magic and the marriage disintegrates. Painfully, our society idealizes a vacuous, meaningless lifestyle that is of no substance. To illustrate this, I’ll share with you an incident that occurred some years ago at my Hineni Torah class. I have related the story a number of times, but it is as pertinent today as it was yesterday and bears repeating, for the priorities the story illustrates are the foundations for a good marriage and should never be compromised. When I challenged her to explain exactly what she meant by “quality,” she enumerated five “musts” on which she was not willing to compromise. “We are born seeing only our own needs and must be taught to be sensitive to the concerns of others. This training must start at a tender age. Early on, children must be conditioned to be giving, patient, considerate, and kind. Even simple words like ‘thank you’ and ‘please’ must be taught and are not to be taken for granted – as evidenced by their absence from the vocabulary of so many adults. “But can’t you acquire these disciplines later in life?” she asked. The one “must” quality on which no one should compromise is finding a soul mate with a good heart; if that’s lacking, the entire package will fall apart.